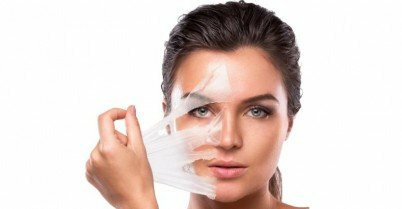 Is Chemical Peel Effective for Anti-Aging Skin Care? In some cases our skin problems can be so severe that nothing we try will work, severe acne scars, sun spots, and certain imperfections all fall into this category. This can often lead us to turn to medical procedures; one of the best procedures you could have is a chemical peel as it provides you with great results and is relatively safe. A chemical peel is a treatment used with the main objective to make the skin appear younger by improving the anti-aging vitamins and minerals and smoothness of the skin. This is done by using a chemical solution which works by causing the dead skin to eventually peel away from the face and leave the surface of the skin looking much healthier thus giving you a younger appearance. There are a few chemical peel solutions which can be purchased without the need of a medical specialist. Even so, always make sure that you go to a dermatologist, esthetician or another medical professional to discuss your needs and any side effects that may occur. This will ensure that the process goes as smoothly as possible. How a Chemical Peel Works? Chemical peels are pretty much explained through their name; unlike the majority of other medical procedures they don’t try to hide behind a fancy name. A medical professional such as a dermatologist will use a chemical solution in order to peel away some layers of the skin. This helps your skin to look younger and healthier as it will remove certain imperfections in the skin such as sun spots and scars from acne. Chemical peels actually take advantage of a process which happens naturally in the body; we always shed skin but usually at a much slower rate. Chemicals peel just take advantage of this by speeding up the process. The most popular chemical peels include chemical solutions such as alpha-hydroxy acids, trichloroacetic, beta-hydroxy acids, and phenol. These are categorized based on the amount of damage and they tough they are to the skin. The amount of damage done to the skin depends on the composure of the chemicals, including the concentration and also the length of time in which they are effective skin brighteners. The benefits of chemical peels are simple; a process which has done by a medical professional will yield amazing results for the skin. The surface of the skin will be left looking younger, healthier and overall in better condition. In addition to this, if the procedure is done properly the treated skin will also blend naturally with the untreated skin, so no need to worry about a difference in coloration! The most common patient for chemical peel procedures are those who have suffered from sun-damaged skin, actinic keratoses, uneven pigmentation, and even acne scars. Sun damage often results in very fine wrinkles, thinning of the skin, sun spots, and even skin cancer could occur as a result on sun damage; this makes these individuals good candidates for chemical peels as they will surely see an abundance of benefits. What Sort of Follow-up Care Is Needed after a Chemical Peel? Because of the nature of the procedure the skin is often left in a sensitive state following the treatment process. During the healing process you should make sure to protect your skin by avoiding prolonged exposure to the sun; this is even relevant after the healing process has finished as the skin could remain to be sensitive. The frequency of post-operation visits will depend greatly on the nature of the treatment for dull skin and the preferences of the medical specialist. In conclusion a chemical peel is a great procedure to have if you are suffering from any of the skin problems above, these are: sun damage, actinic keratoses, uneven pigmentation and acne scars. An individual who has suffered from any of the mentioned skin problems will surely see great results from a chemical peel and even those who have different skin problems may still be able to benefit. However, always make sure to discuss with your dermatologist or other medical professional before going ahead with the procedure; they will be able to take your personal circumstances into account and help you decide the best decision for you.